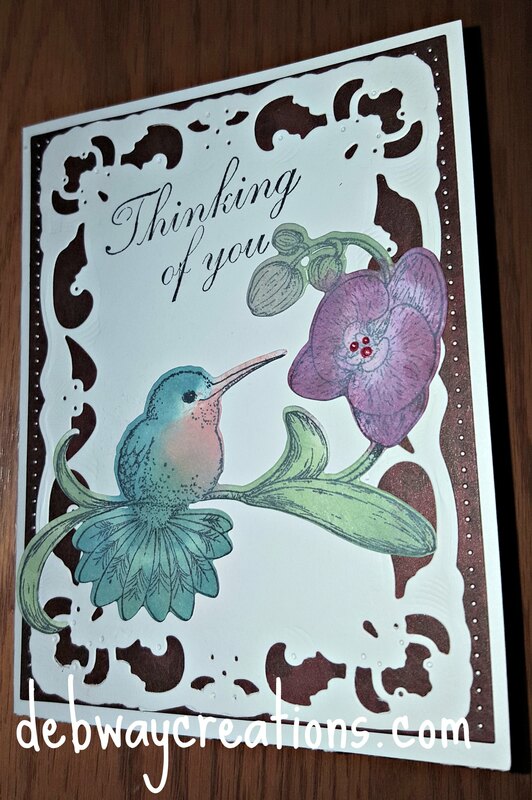 A card I made for my sister-in law. 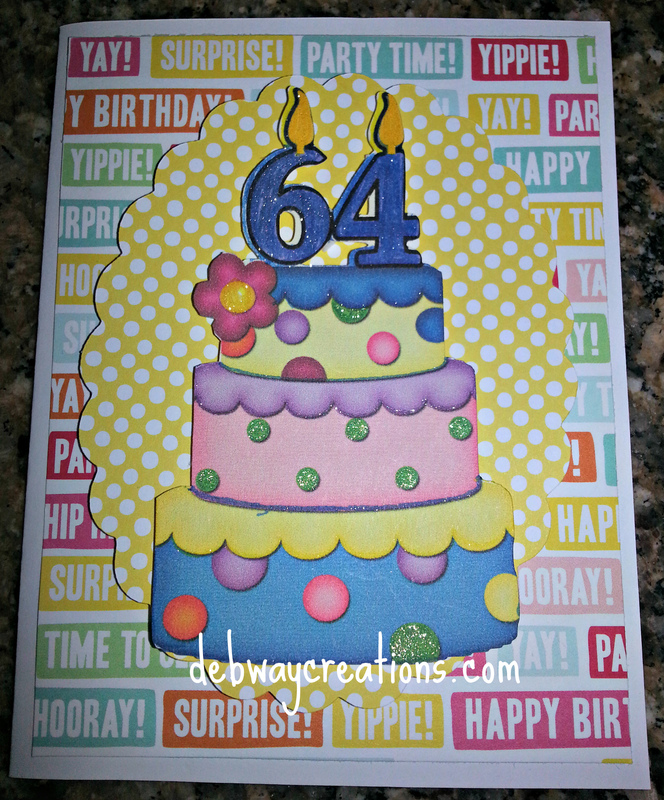 Love Heartfelt Creations dies and stamps! 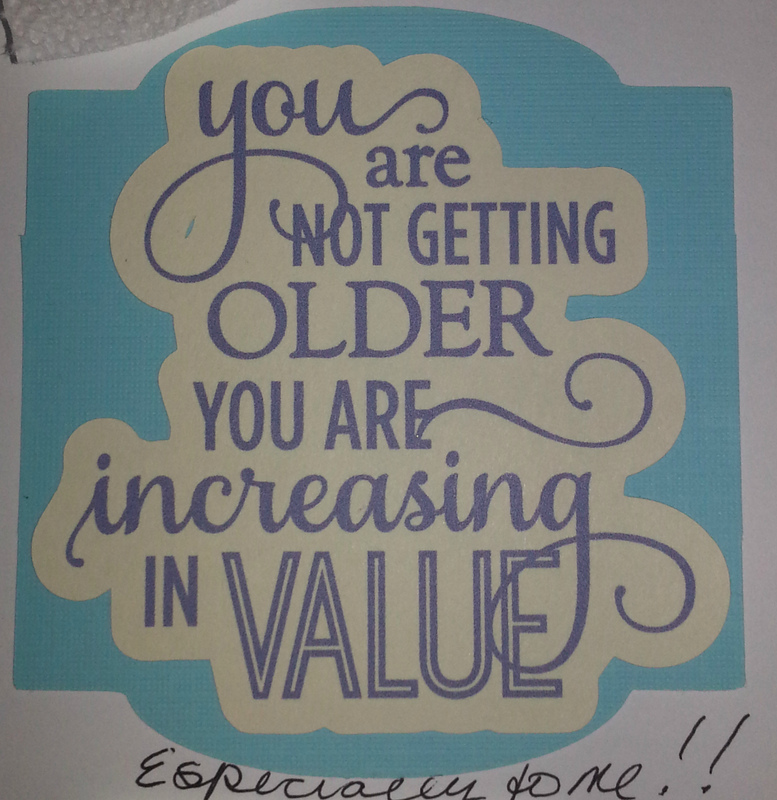 Today I have a male birthday card for you. 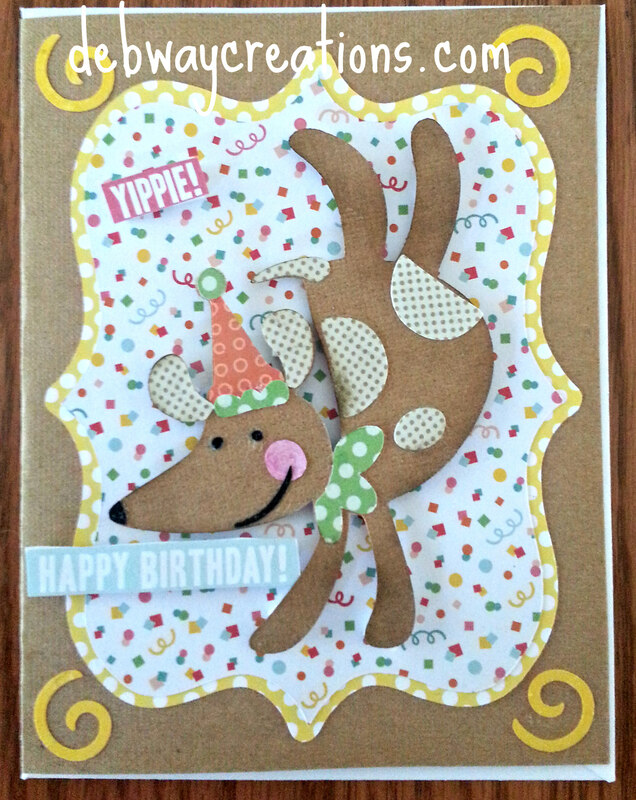 I used the Cricut Birthday Bash Cartridge for the dog, Elegant Edges for the mats and a 5×5 paper pad I got at AC Moore for the papers. 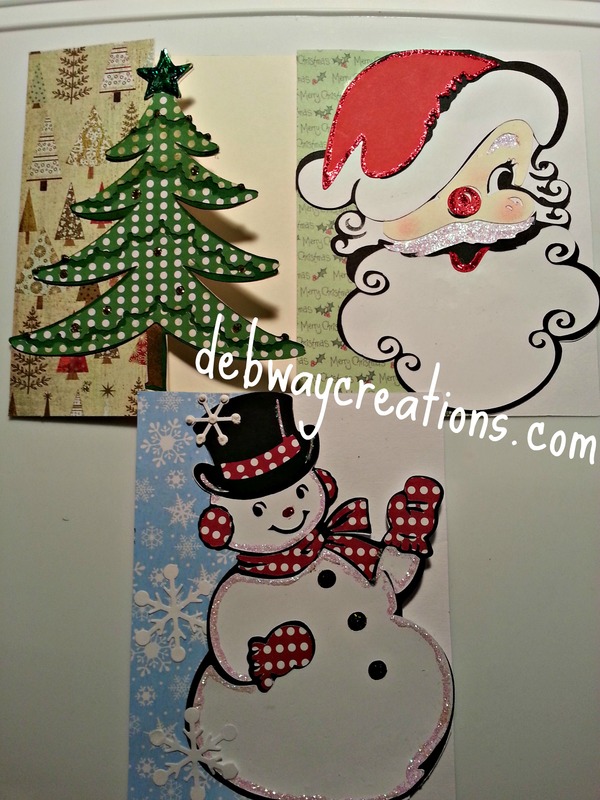 Well now that the holidays are over, I have been working on replenishing my card stock. 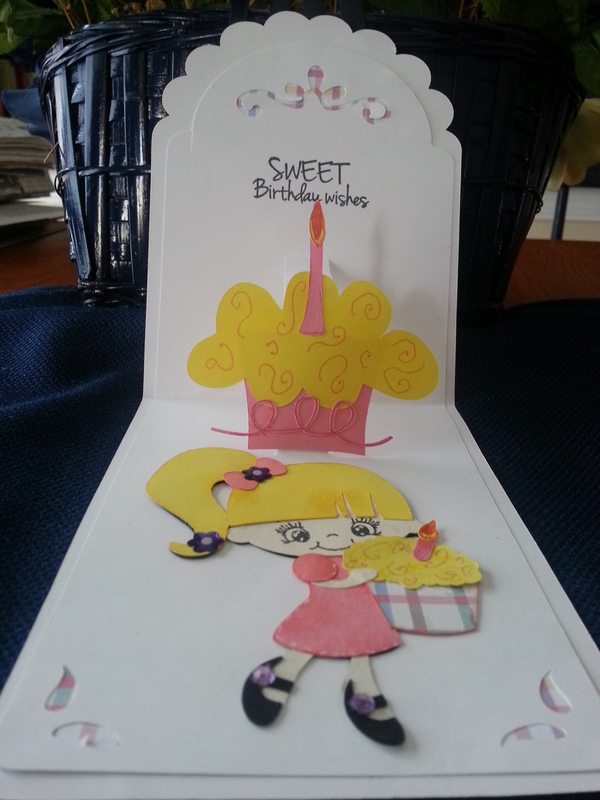 Today I made a birthday pop up card. 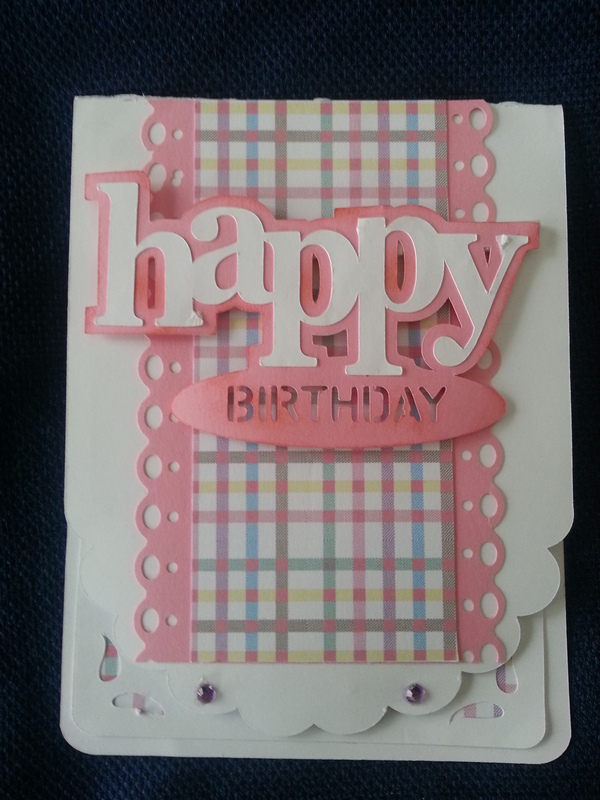 The card base is from the silhouette on-line store Happy Birthday / Cupcake Sentiment Set Scallop Pop-Up Card Set. 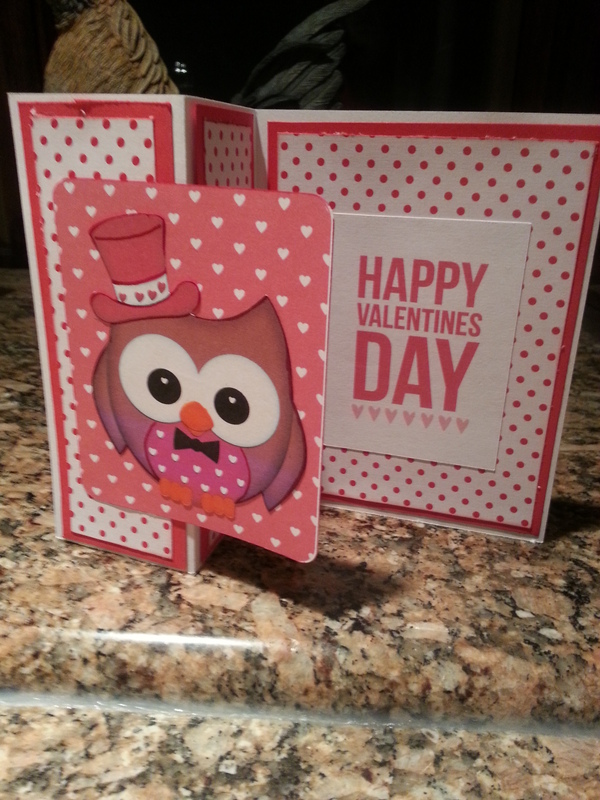 I love how this card came together. 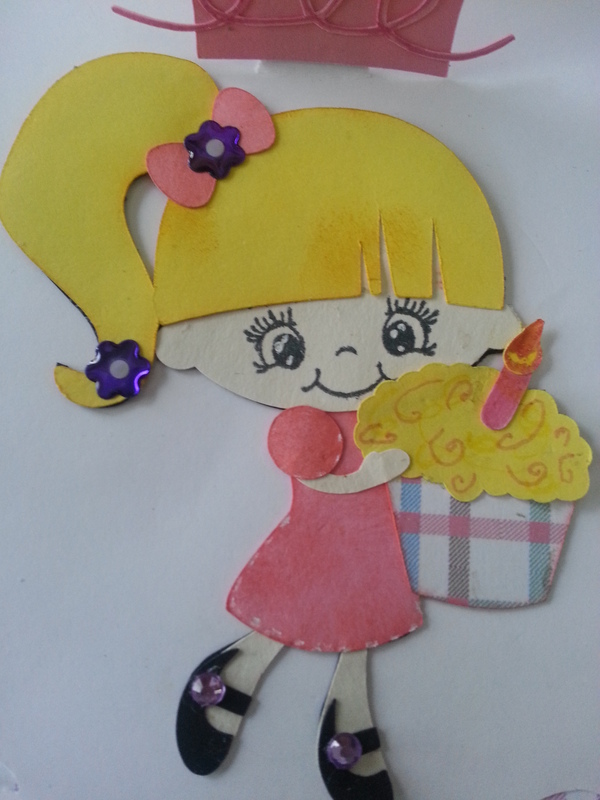 I changed it up a little by adding the cute cup cake girl image from SVG Cutting files. The papers were from my stash. I used my Cameo for the cuts. 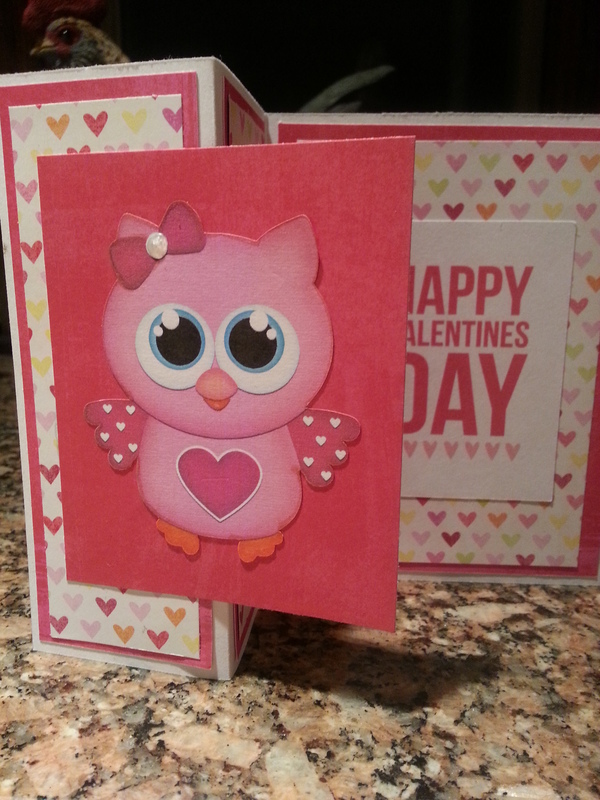 I used a Peachy Keen stamp for her cute face. 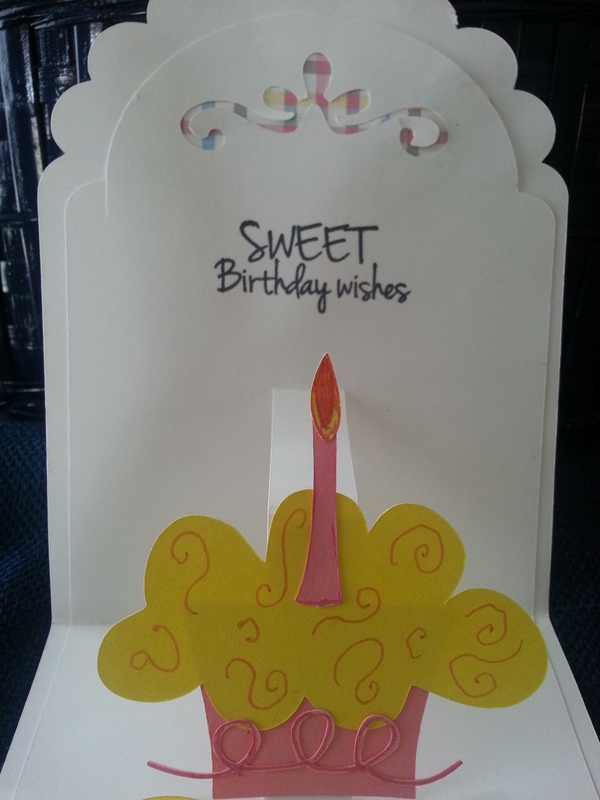 Today is my husband’s birthday. 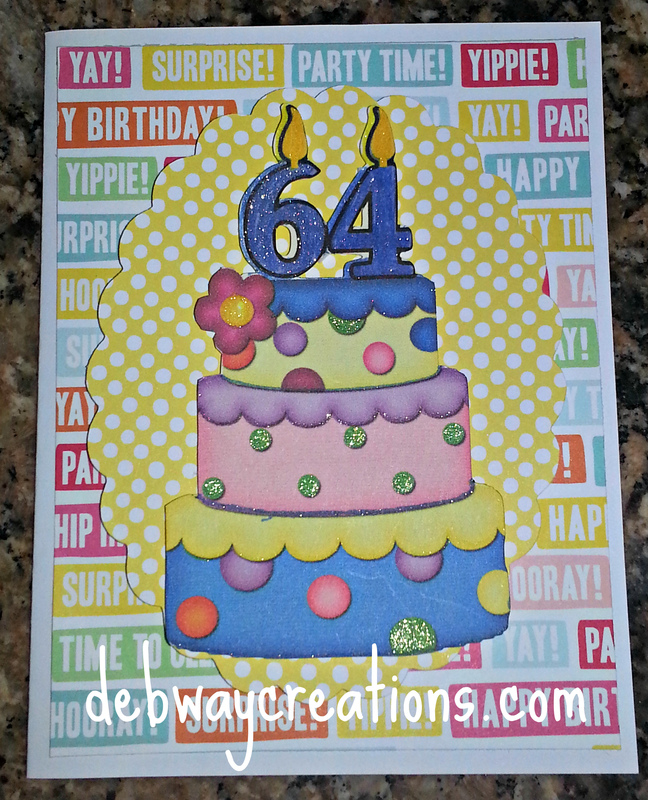 I find male birthday cards hard to make. I guess I just love frilly things. 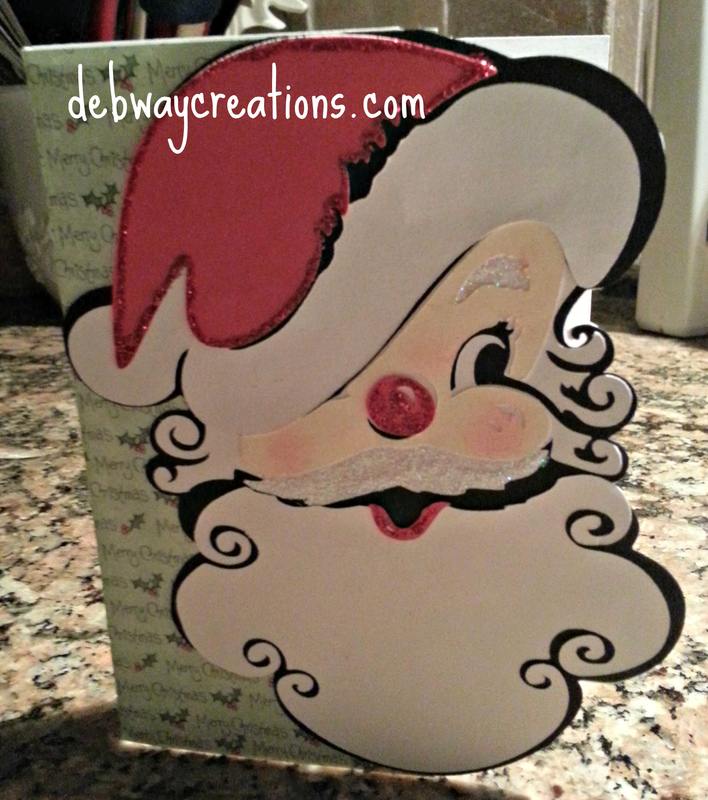 I used paper from a 6×6 pack I purchased at AC Moore. 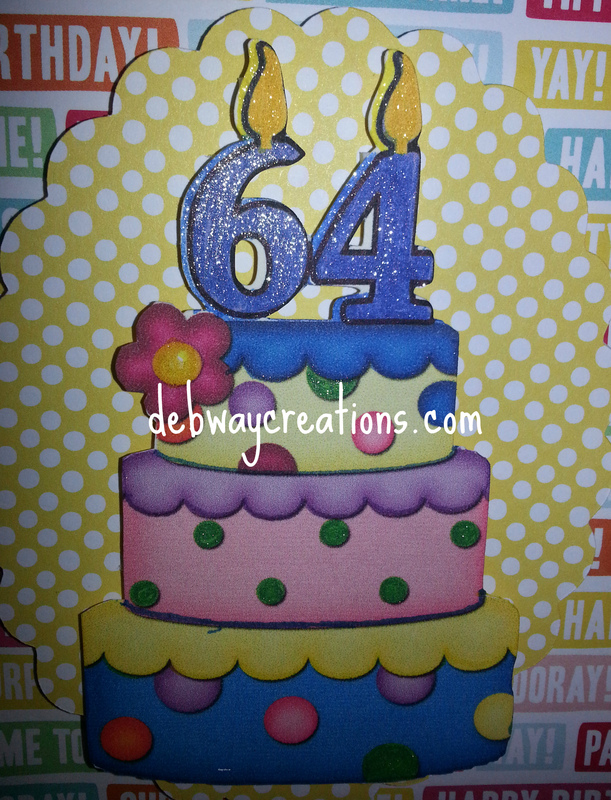 The cake is a cut and print using my Cameo. I welded the 64 to the top of the cake. I also used the paint feature to color the candles to match the cake. 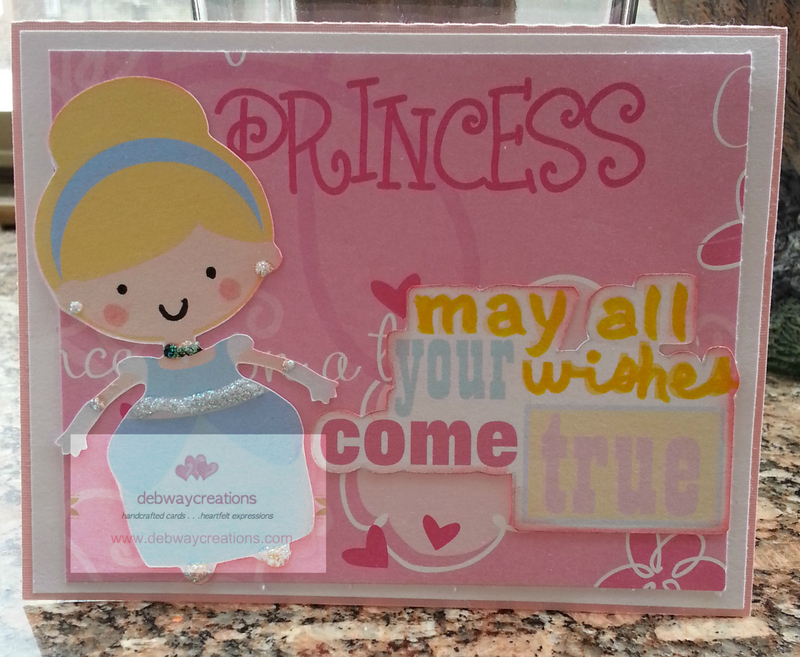 The inside is also a file from the silhouette on-line store. I added some glitter with the Wink of Stella pens. Well I guess it is that time of year again. Of course it is my favorite time. 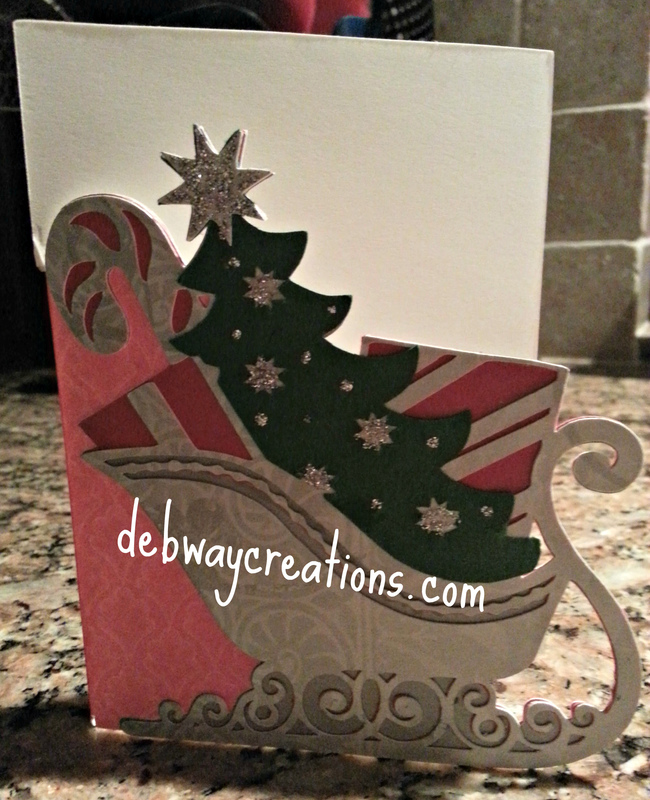 I started some of my Christmas cards using Anna Griffin’s Christmas Kitsch cartridge by Cricut.. I do not have an explore yet. 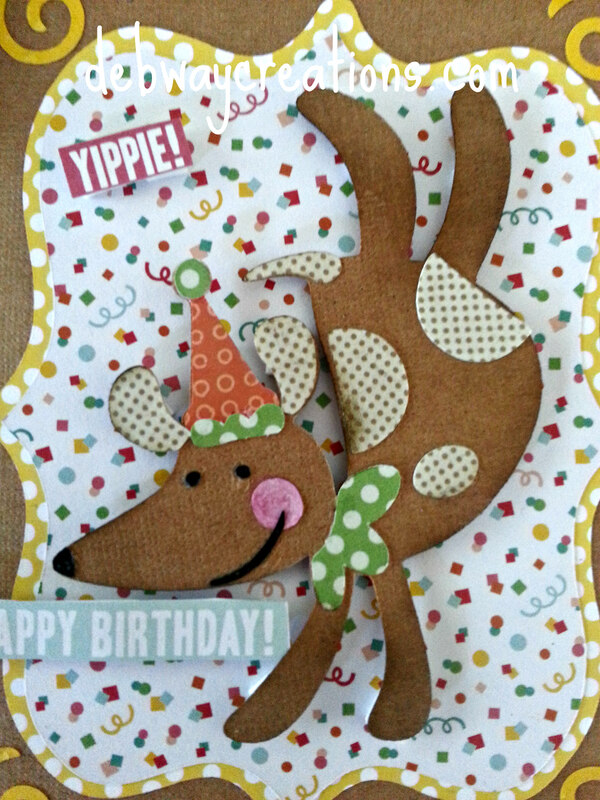 I love my expression so I used CCR to design my cards. They are very easy to put together. Everything was cut at 5.5 inches. Hope I can inspire some of you to get yours started too. 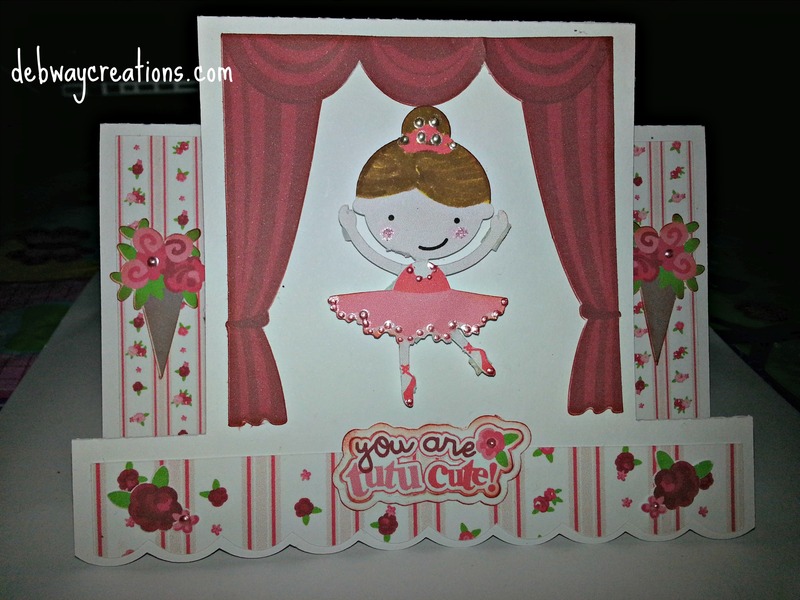 Today I made a card for my grand daughter’s first dance recital. The images are from Lettering Delights. I used the print and cut feature of my Cameo. 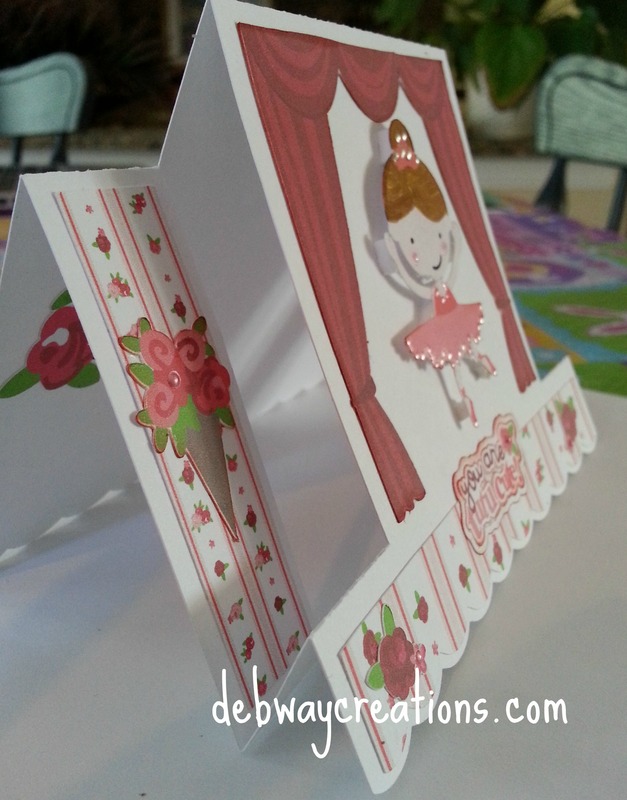 The card base is a Lori Whitlock a2 size step card from the silhouette on-line store. I hope everyone is staying warm during all this frigid and snowy weather. We had another 12 inches of snow today followed by sleet and possibly more snow tonight. 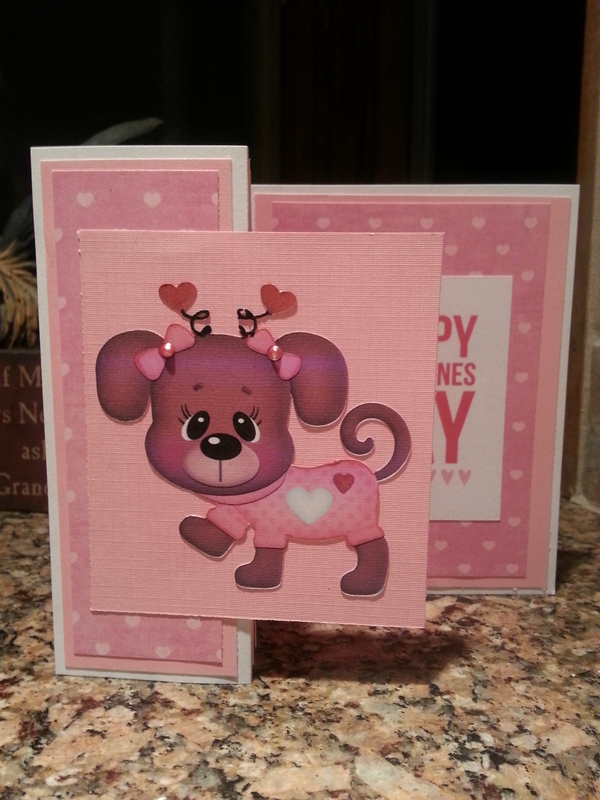 We didn’t get mail today so I am glad I already mailed my grand children their Valentine cards. I hope they get them tomorrow. 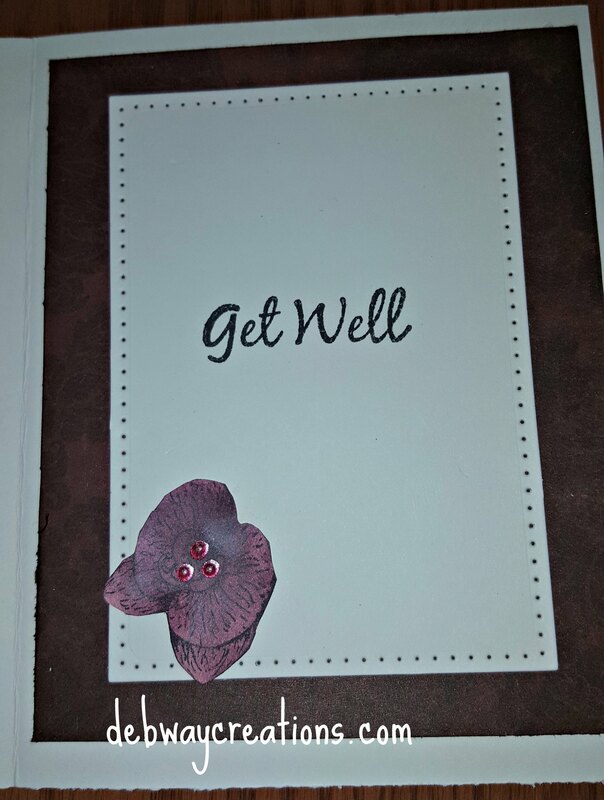 I used images from the silhouette on-line store and the cut and print feature on my cameo. The cards are 4.25 by 5.50. 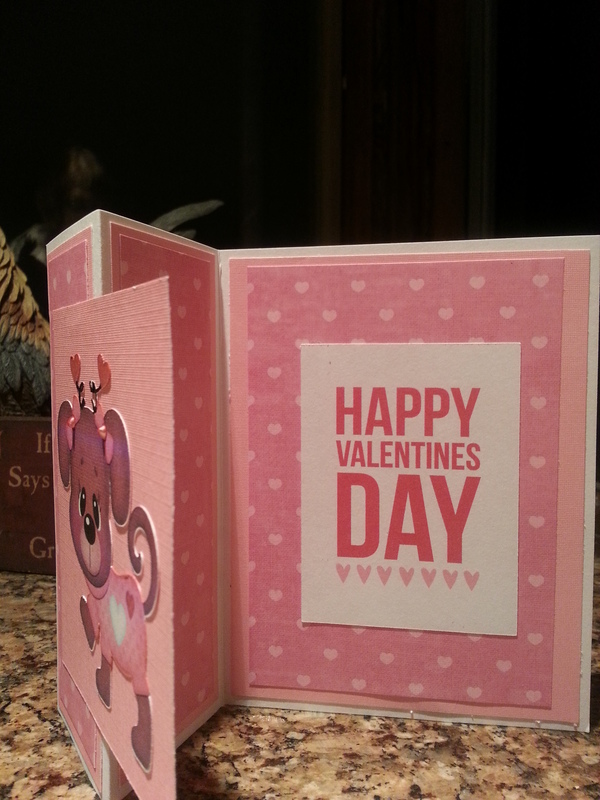 I decided to use the z or s fold after I was inspired by Cardz tv’s card. 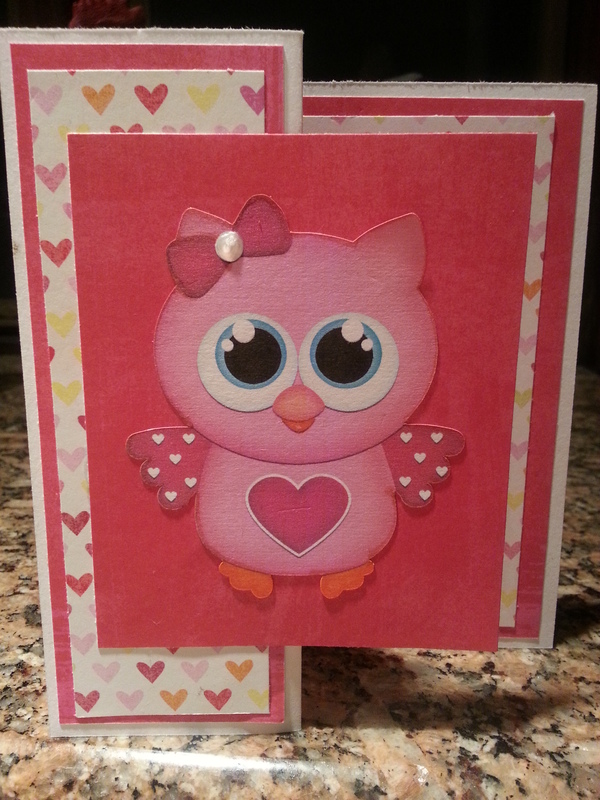 I used the cute owls for my two youngest grand children and the adorable dogs for the two older ones. I hope you all have a wonderful and warm Valentine’s Day! 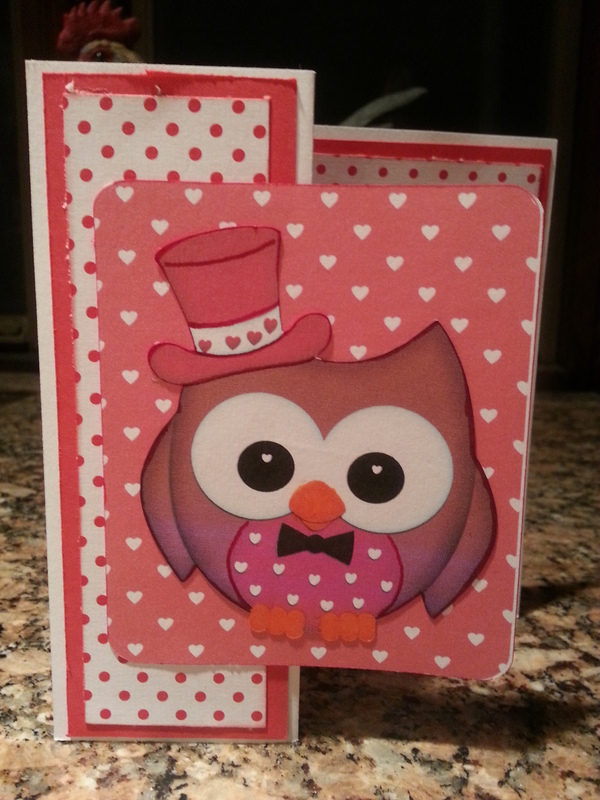 This week we were challenged to use an element of nature on our cards for our heroes to send home to their love ones. 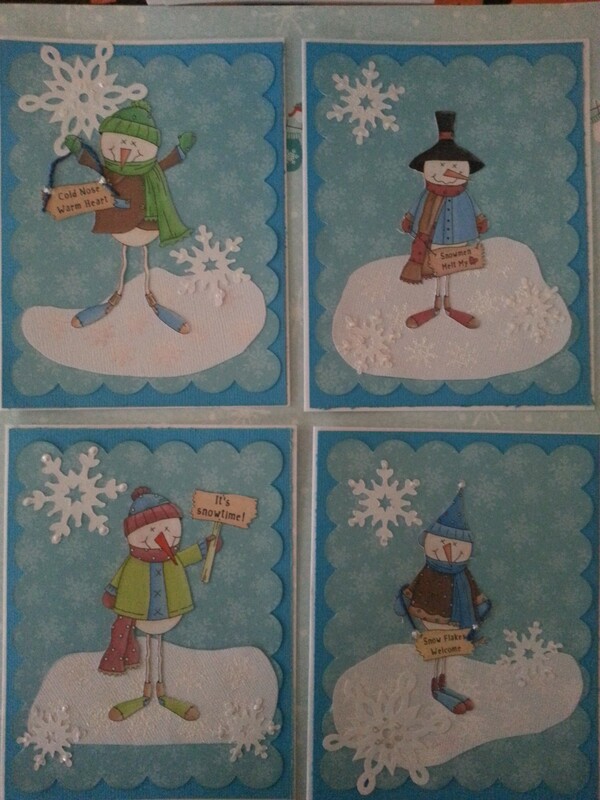 I used the snowmen from Dollar Graphics Depot file called Frosty Long Stocking. 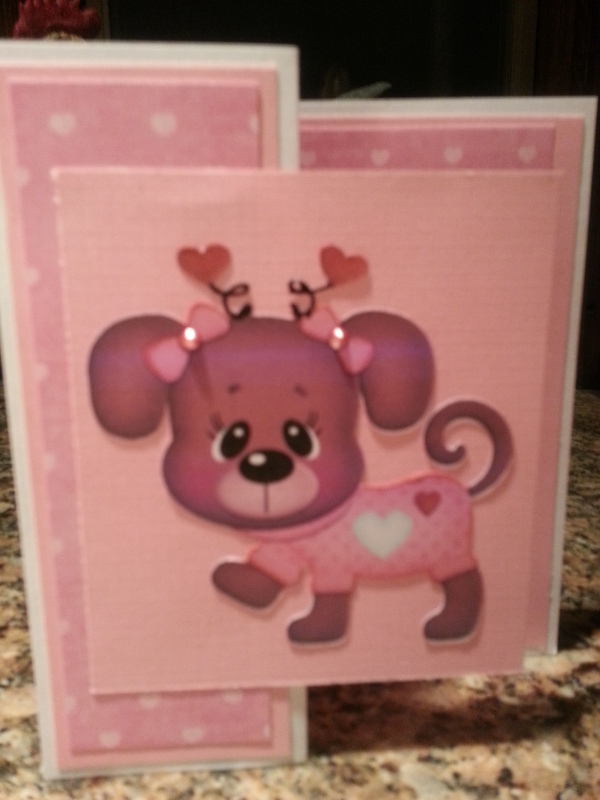 I think the images and their sentiments are adorable. 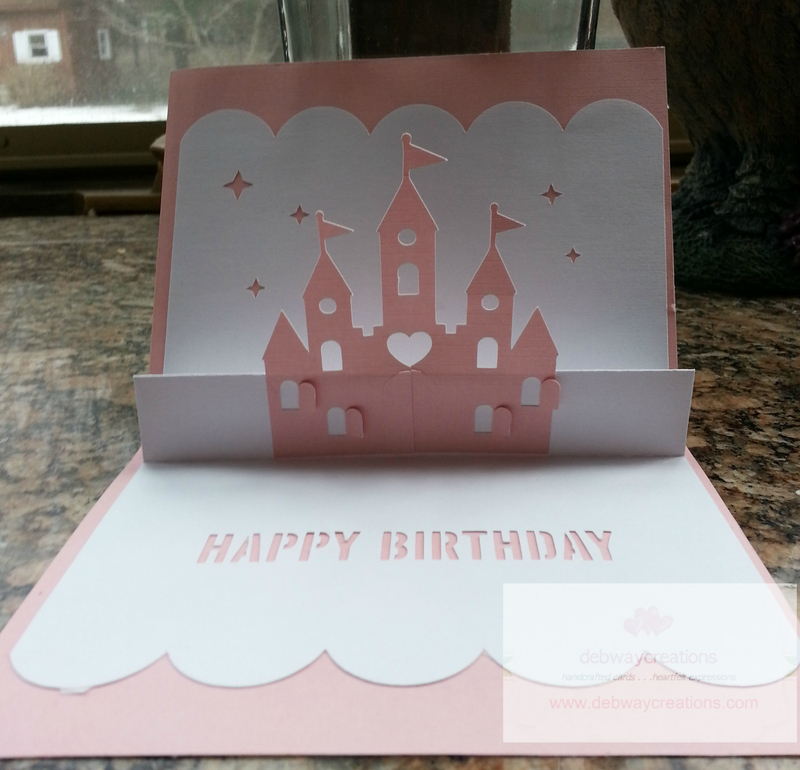 The scallop frame is from the Elegant Edges Cricut cartridge. I love this cartridge. It has some really nice shapes.